I love mango a lot and mango ice creams and khulfis are my favorite. 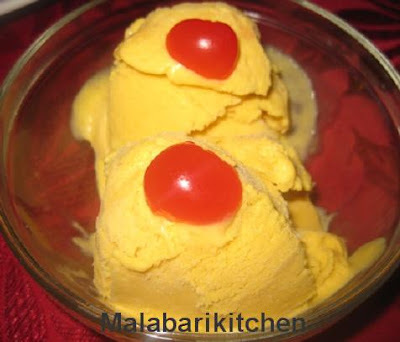 I used to think a lot of making mango ice creams and at last got some good methods from net. electric mixer (This is to get good thick cream). =►Then add condensed milk, mango puree and honey (optional) into it. =► Mix it well and pour to glass vessel and cover it with lid. =► Keep it in freezer for 5-6 hr. Serve as a dessert. 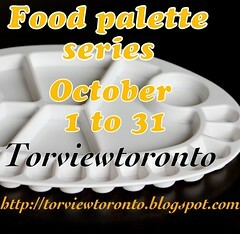 =► Add cherry or any other decorative things to give it a party look. Note- If you have mangoes then you can make the puree by taking the mango pulp and adding sugar to it. Make sure that you filter it to get only the pulp. Adpoly recipe...loved d tempting clicks...first time here...beautiful space you have..glad to follow u..
wooowww is it so easy.. i would def try this. 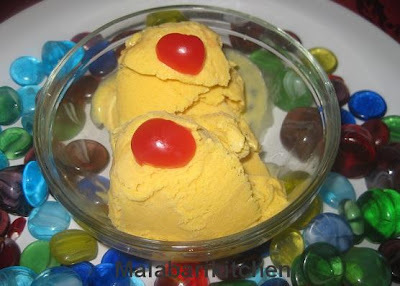 bookmarking this recipe :-) i love mango icecreams ... yours looks so nice. Easy and delicious, love your click too..